A loan of $350 helped to purchase farm inputs and fertilizer. Thelma availed the financial assistancefrom Paglaum MPC. 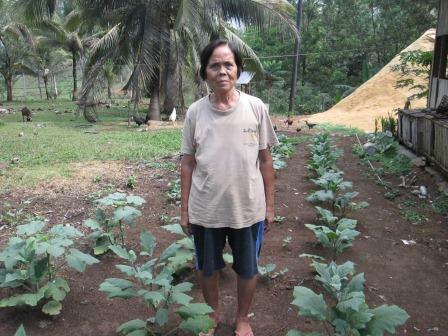 As a farmer in Calamba, Misamis Occidental, she tried her luck and borrowed a loan to start her vegetable production. After several months, she was able to return her borrowed capital. To this day, Thelma feels she owes her good fortune to the Cooperative for having trusted her with the money she used to her business. Recently, she took a loan to purchase farm inputs and fertilizer for the next growing season. Thelma wishes to sustain her business and be able to supply vegetables in the neighboring towns.